True Wild Life | Frog | Frogs are amphibians, creatures that inhabit both land and water environments equally successfully. There are thought to be around 5,000 different species of frog around the world. 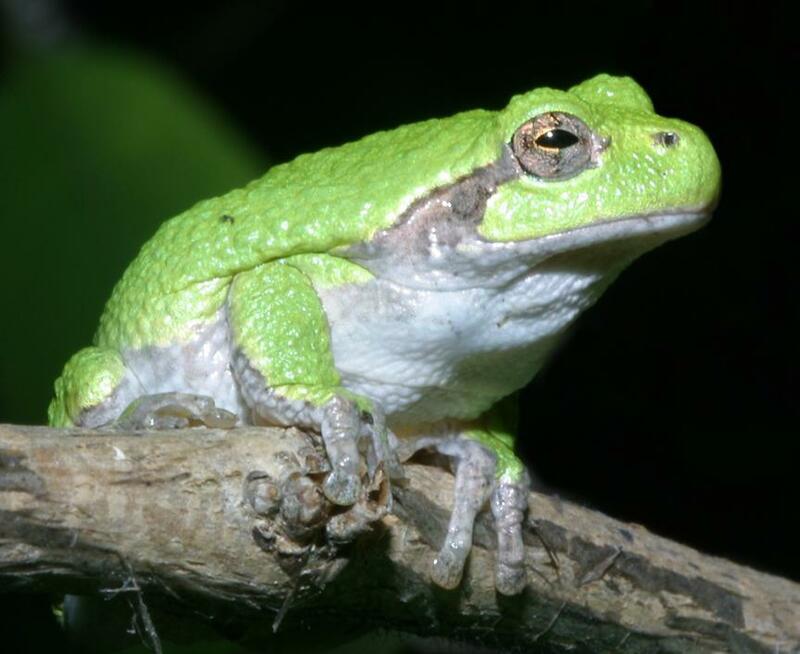 Frogs are well known for their coiled, sticky tongue which they project out of their mouths to catch insects. 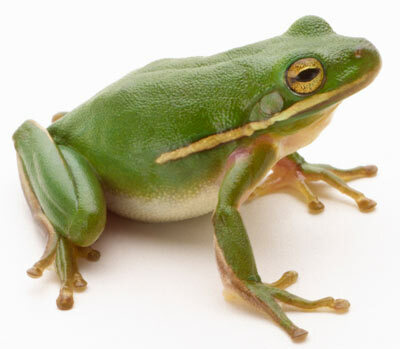 Frogs are also well known for being able to breathe through their skin as well as their lungs. Some frogs can leap over 50 times their body length, which results in the frog jumping an enormous height. Many frogs in cooler climates hibernate through the winter in compost heaps and big piles of mud. 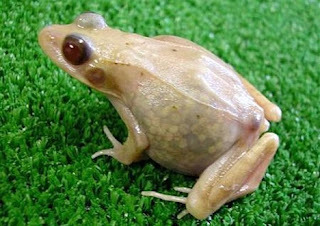 Most species of frog have webbed hands and feet, which aids the frog in swimming, jumping and even climbing. Frogs tend to lay their eggs (known as frog spawn) in ponds and lakes but some frogs have been known to also lay their eggs in big puddles. Baby frogs are called tadpoles and are completely water-based until the tadpoles develop arms and legs and are able to climb out of the water. 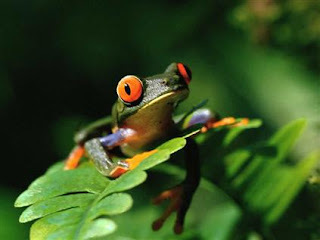 Frogs are found all over the world with the exceptions of the polar regions. Although this is the case, many of the 5,000 frog species are found in the tropical rainforests of the southern hemisphere in places like South America and Indonesia. Frog populations of certain frog species are severely declining mainly due to deforestation and climate change. Frogs are very susceptible to atmospheric changes and many frog species, therefore cannot exist outside of their native habitat. wow these frogs looks so URGH!!! !